The last 36 hours of my personal life have been crazy. While that doesn’t affect you, it does mean that I need to cut this profile short to get it posted. After making his big league debut as a September call-up in 2013, James Jacob Nelson would find himself on the outside looking in when camp broke in 2014. He would instead start the year at Class-AAA Nashville, quickly establishing himself as the staff ace. Nelson would end up pitching in 17 games for Nashville in 2014, compiling a 1.46 ERA across 111.0 innings pitched. That’s just 18 earned runs allowed. His batting average against for Nashville was a miniscule .179 with a 0.92 WHIP and 114 strikeouts. In 431 batters faced as a Sounds pitcher, Nelson allowed just three home runs. Great strikeouts per nine (9.2), good walk rate (2.6), heavy ground ball tendency (57.3%) and skinny line drive rate (12.5%)? Yes please. When the trade deadline was approaching and Milwaukee holding a lead of a couple of games in the National League Central, there were many questions surrounding Nelson. Would he be offered in trade to secure a starting pitcher? 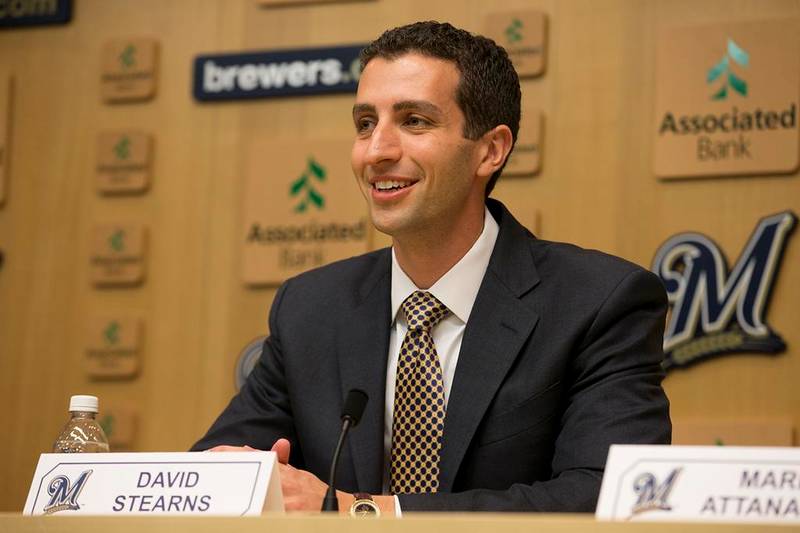 Would he come up to bolster Milwaukee’s rotation or bullpen? Was he ready for the big leagues despite clearly having nothing left to prove in the minors? To that point in the season, Nelson had made four starts. He had a spot start in May against the Miami Marlins which he pitched worse than his numbers show but still ended up with a scoreless outing and a win. He then joined the rotation when Marco Estrada was demoted to the bullpen just before the All-Star break. He was hammered by St. Louis in that first July start but showed better after that putting up “quality starts” (defined as at least 6.0 innings pitch with three or fewer runs allowed) in his next five turns. In fact, he dropped his ERA from 5.40 to 3.86 over those five outings, three of which the Brewers won. In August, both Kyle Lohse and Matt Garza would lose time to injuries and Nelson found himself smack dab in the middle of the divisional race and responded well enough for a rookie. Nelson would be sent to the bullpen following a start on September 7 against the Cardinals. 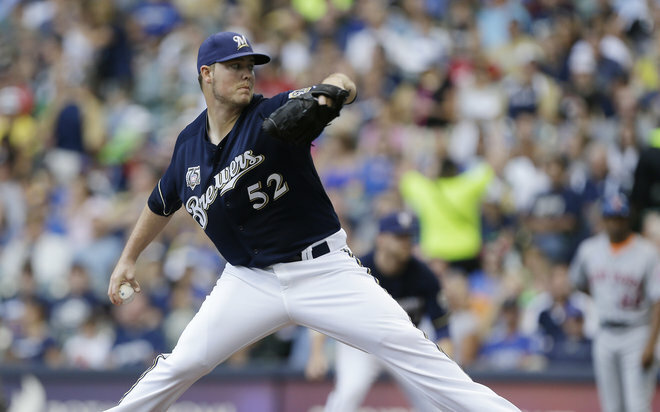 He fared better than back on July 12, but still wasn’t pitching to the level the Brewers needed him to be. When the rotation was at “full strength” following the injury bug, it was Mike Fiers and not Nelson who remained as the fifth guy. Nelson made two appearances out of the bullpen before making one final start on September 26, once it was clear that the Brewers were sunk. Nelson’s trial by fire season was complete. All told, it was a 4.93 ERA in 69.1 innings across 12 starts and 14 games pitched for the rookie right-hander out of the University of Alabama. His inexperience was evident at times and, by his own admission, he got away from his pitch sequencing and selection that worked so well for him in the minors. He was primarily, overwhelmingly a two-pitch pitcher in his 2014 Brewers campaign. He knows he needs to feature his change up more, and reports are that he’s working on another pitch as well to really give him more weapons on the mound. His slider can be and was a wipeout offering at times with Milwaukee in 2014, but the consistency needs to come around on it. A 2nd round pick in 2010, Nelson was often overlooked by prospect mavens but consistently improved year after year in the minors, eventually assuming the mantle of “top pitching prospect” after Wily Peralta graduated. After Dylan Covey decided not to sign with the Brewers from the first round of Nelson’s year, and 2011 co-first-rounders Taylor Jungmann and Jed Bradley both lagging behind their projections to this point, Nelson emerging as a dependable rotation option would be a nice win for Milwaukee’s scouting and development staffs. Granted, you probably expect a second-rounder to be there anyway, which keeps Nelson from being some unearthed gem, but a win is a win and getting any homegrown starting pitchers to the majors is a good thing. Nelson has reached the top level. Staying there is up to him.